If you own a gym membership, chances are you’ve heard of Pilates classes before. Contrary to popular belief, Pilates isn’t just an exercise for fitness fanatics, it’s an accessible way for men and women of all fitness levels to build strength, balance, and flexibility. Consisting of a variety of low-impact movements, Pilates focuses on emphasizing proper postural alignment, core strength, and muscle balance. At Core10 Pilates in Omaha, we’re proud to be a leading provider of beginner, intermediate, and advanced Pilates classes in Nebraska. All of our Pilates classes are high-energy, music-driven workouts that are specifically designed to give you the best possible workout in the shortest amount of time. No matter your fitness level, we encourage you to sign up for one of our Free Intro Classes to test out our studio! If you’re interested in learning more about our Pilates classes and trainers or you’d like to book a Private Session, contact us today! Good Posture – Do you suffer from poor posture? As you grew up, did your parents or teachers always tell you stand up straight? If you answered yes to either of these questions, it may be beneficial to try out a Pilates class. Pilates will teach you how to gain and obtain proper posture through a series of fun and invigorating exercises. Pilates exercises are specifically designed to encourage proper body alignment, which can be especially beneficial if you suffer from lower back pain. Toned Muscles – Pilates is a great way to activate those deep-rooted muscles that you rarely get to use. Once you have completed your first Pilates class, you may feel sore in parts of your body that you never knew existed. Once you get over the initial soreness and continue to incorporate Pilates classes into your weekly routine, you’ll quickly begin to notice the muscles in your arms, legs, and abdomen as they start to build mass and firmness. Pilates is a wonderful way to target those trouble areas that you like to tone down including your glutes, thighs, biceps, and triceps. Flexibility – Did you know that as we age, we tend to lose the flexibility we had when we were young? Pilates is a great way to restore your flexibility, and after a few classes, you’ll surely start to notice how much more flexible your body is becoming. Reduce Stress – Another perk of taking a Pilates class is that it can be a huge stress reliever. When you get caught up in the concentrated exercises that Pilates has to offer, you’ll be so engrossed in your workout that you won’t have time to think about what to make for dinner or what you should have done at work before you left for the day. During a Pilates class, you will be so focused on your breathing and body movements that you won’t have time to stress about small, unimportant things. Since Pilates is a muscle strengthening exercise, it can help you to trim and tone certain areas of your body. From your glutes and stomach to your legs and arms, Pilates can help you build muscle and lose fat. While everyone knows that a surefire way to lose weight is through proper diet and exercise, Pilates can help you get up and moving on those days when you’d rather sit on the couch and watch television. At Core10 Pilates in Omaha, we’re proud to offer Nebraska residents and visitors with some of the best Pilates classes available. When you visit our Pilates studio, we’ll do everything we can to ensure your visit is comfortable and pleasant. If you’d like some one-on-one time with one of our Pilates instructors, make sure to ask us about our Private Sessions. What Does A Beginner Pilates Exercise Look Like? One of the first moves you’ll learn in a Pilates class is call “the hundreds.” To perform this move, you will be asked to lie flat on your back with your legs lifted up to a 45-degree angle. While you hold your legs in the air, focus on engaging your abdominal muscles and lift your head and shoulders off of the mat so that you create a scooping position. Pump your arms up and down at your sides, almost as if you were slapping on water. When both your legs and head are up in the air, it encourages blood to flow to your heart. 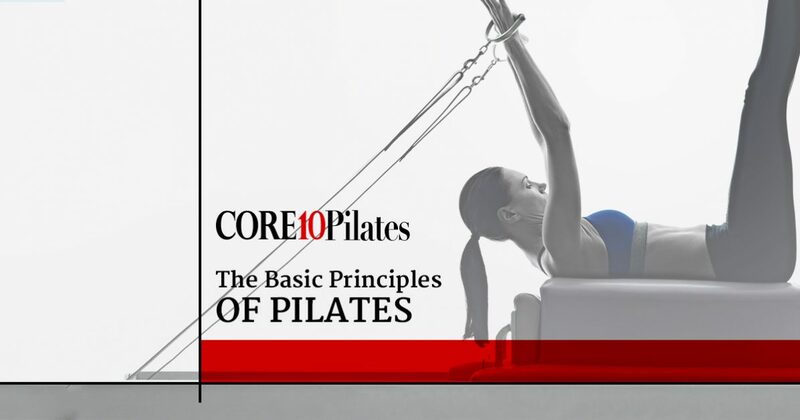 If you would like to sign up for a Pilates class in Nebraska, be sure to visit Core10 Pilates in Omaha. 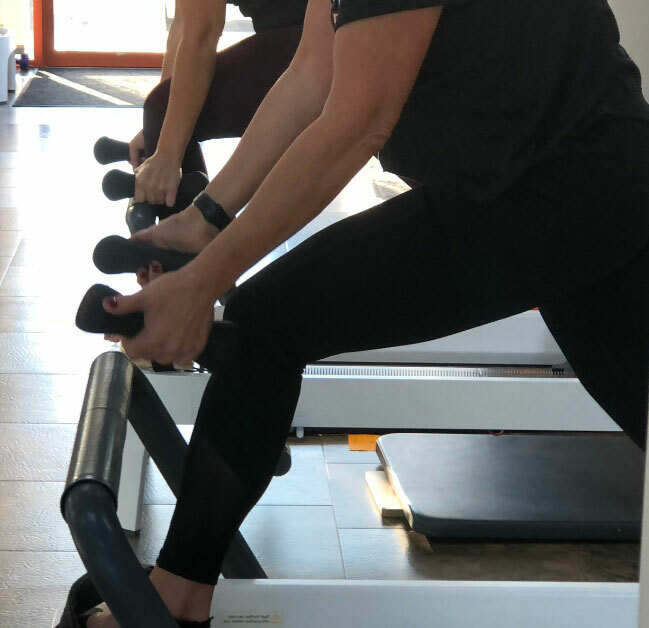 We offer a variety of Pilates classes for all fitness levels, and we would love to show you the benefits of this fun and exciting fitness class.